In our neighborhood, there is a boy who goes through examination and surgery repeatedly because of a rare disease, and a girl who suffers financial difficulties with her one parent. In Africa, there are children who cannot drink clean water because they do not have a water pump to draw underground water. In the Island nations in the South Pacific, which are in danger of being submerged, there live children who desperately need a water tank to store rainwater and water purification facility to make contaminated water clean. All they are living in difficulty, but they are children who wear a smile, cherishing their dream for the future. To deliver dream, courage and hope for tomorrow, with the mother’s love, to children and youths inside and outside of Korea who are going through a hard time, the Intl. WeLoveU Foundation held the 13th New Life Concert at the Seoul Student Gymnasium at 7 p.m. on November 28. 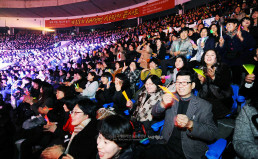 The concert which was supported by the Seoul City, Sejong General Hospital and Daejayon. 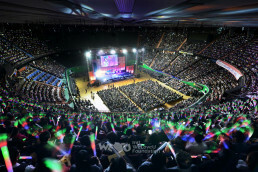 Around 8,000 members and citizens attended the concert, including Chairwoman Zahng Gil-jah, Director General Lee Gang-min and board members, Lee Bae-keun the President of Korea Association for Prevention of Child Abuse, Harry A.C. van Woerden Executive Director of Netherlands Foreign Investment Agency Korea, and people from diplomatic offices in Korea. Sponsor Chairman Lee Sun-jae who is an actor and PR Ambassador, vocalists Lee Seung-Hun, Jeong Su-ra, Kim Heung-kuk, Baek Mi-hyeon, Yun Tae-gyu, Han Hye-jin, and Green+ (a group of university student environmentalists, too, felt empathy to the purpose of the event and willingly participated in it. They showed passionate performances that filled the place with love. Chairwoman Zahng Gil-jah, Sponsor Chairman Lee Sun-jae ask the audience to practice love. Opening the concert, Chairwoman Zahng Gil-jah expressed her thanks to all the members who came to the concert, supporters, performers and guests, and explained the purpose of the concert. “The Creator put the love of 36.5℃ to cold dirt, so man came to have life. He also set the time of a year to have 365 days and it is the will of heaven to let people live by sharing the love of 36.5℃ throughout the 365 days.” Emphasizing this, Chairwoman Zahng Gil-jah hoped that the concert would be remembered as life and love in the hearts of all those who attended. Executive Director of Netherlands Foreign Investment Agency Korea, Harry A.C. van Woerden, and President of Korea Association for Prevention of Child Abuse, Lee Bae-keun, encourage the members. Lee Bae-keun the President of Korea Association for Prevention of Child Abuse congratulated the New Life Concert on wiping the tears of many children who are suffering from poverty and disease, raising them up and, furthermore, opening the stream of life and love all over the world. He appreciated the members’ efforts as well. During the donation ceremony, POPs for establishing water storage and purification facilities and water pumps to Tonga and Kiribati of the South Pacific and Gabon of Africa respectively. 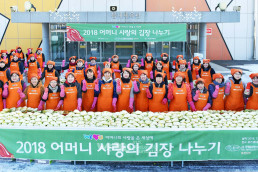 22 children and youths who were suffering financial difficulties in the city of Seoul received living expenses, and 8 children who were suffering from rare and intractable diseases were supported with medical expenses along with gifts. 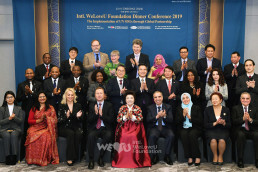 Chairwoman Zahng Gil-jah and Sponsor Chairman Lee Sun-jae shook hands with each and every beneficiary, and delivered a warm message of encouragement. The members clapped and applauded to cheer the beneficiaries. During the concert, various kinds of music encompassing different generations and genre gave love and deep impression to the audience. Cute dance and clear ringing songs of the New Life Children’s Choir, dignified melody of the Green+ that urges people to take a prompt action against environmental crisis of our planet, a sweet melody created by Lee Seung-hun and Baek Mi-hyun when they sang with an acoustic guitar and a melodion, cheerful songs of Kim Heung-kuk, Yun Tae-gyu and Han Hye-jin, and the performance of joy and passion of Jeong Su-ra were followed. 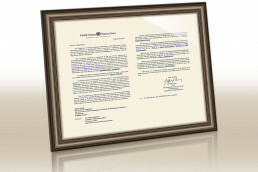 After the event, the person from the Nepalese Embassy in Korea (Raja Ram Bartaula, Charge d’ Affairs of Nepal ) notified the WeLoveU Foundation of his intention to learn its activities. He said that he was inspired when the audience shouted with one voice, “We Love You,” and when he saw the scene where the members helped their neighbors in Korea and throughout the world with mother’s love. “We are one family living in one Earth. It’s wonderful to share mother’s love. I hope that you keep working to give this great love,” he said.